at the New-York Historical Society. Click the image to enlarge it. This photograph of the nearly completed New Croton Dam gives us a look at the spillway without the usual cascade of water. 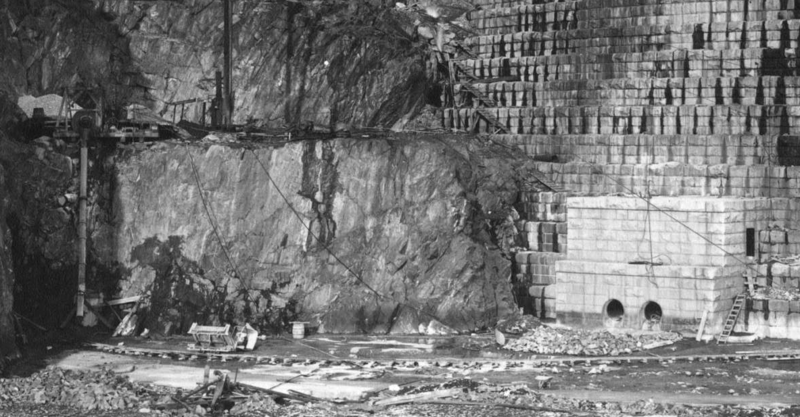 Below are details from the image, showing the immense scale of the structure—made entirely of hand-hewn stone which was cut, moved and placed without the aid of modern construction equipment. This is just one of the many treasures you can find at the New York Heritage Digital Collections website. 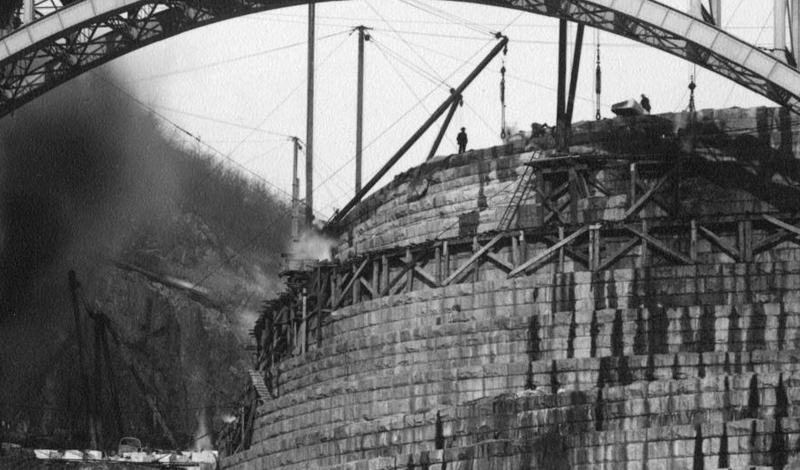 The ladder in the lower right corner of this detail gives an idea of the immense scale of the spillway. Previous Post A Van Cortlandt Manor Treasure—on eBay! Next Post What’s Cookin’ at the Mikado? 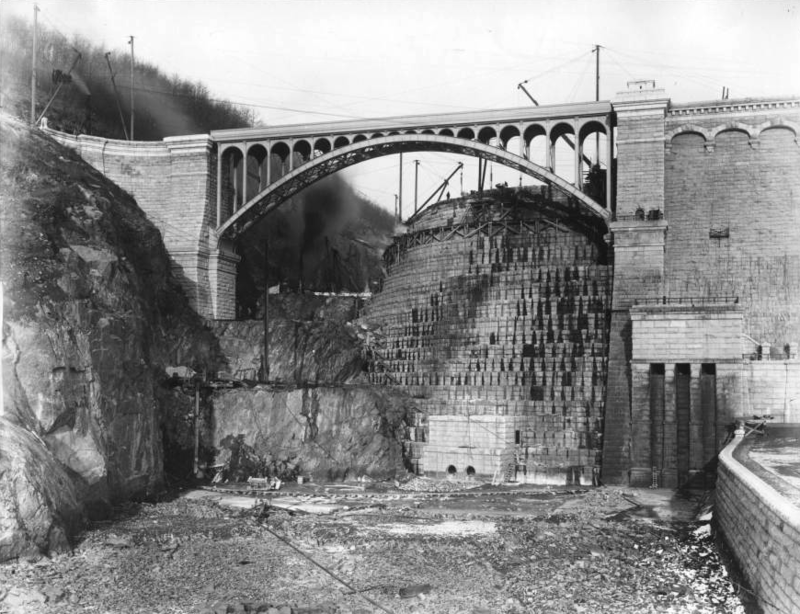 Great find for interesting Croton Dam pictures. I think the city stored all the water it could, so that even after the dam and series of storage reservoirs were complete, no water was released over the dam during drought periods as long as there was additional storage capacity to be filled. 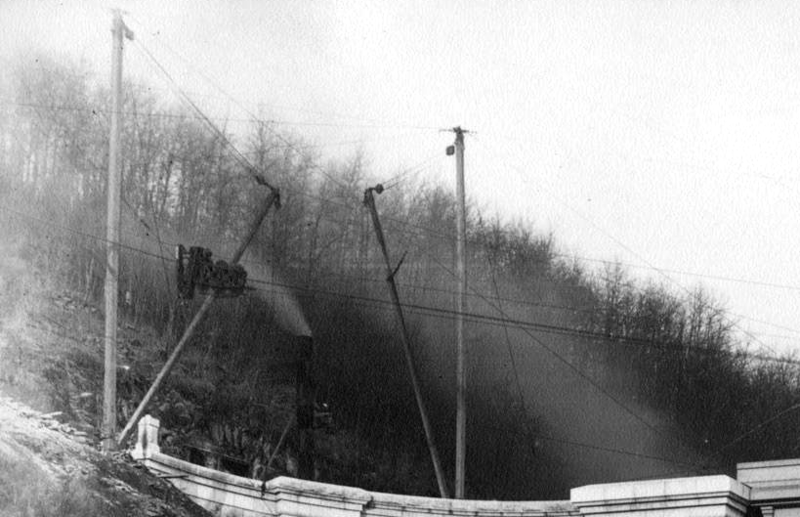 Environmental concerns eventually mandated a constant release over the spillway, not sure at what date.